Many people visit Arizona just to catch Spring Training Baseball games. 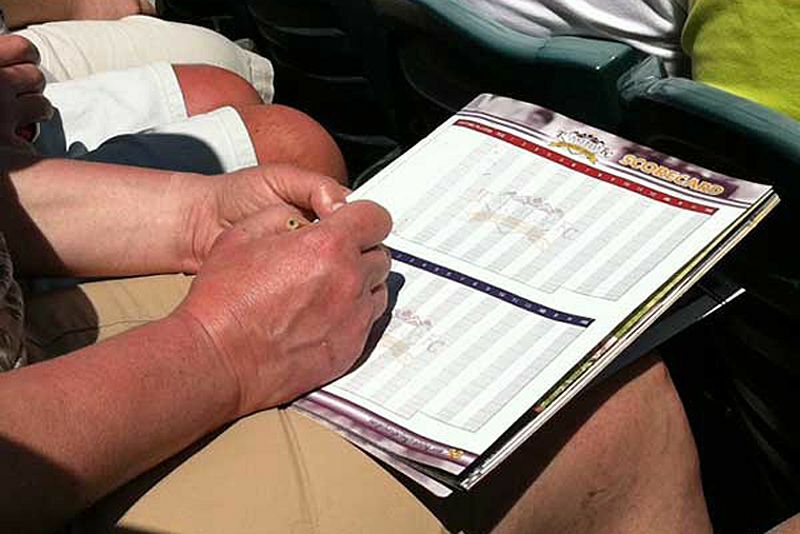 Here's a handy way to see what games will be played on specific days during the Spring Training schedule, so you can plan your days around baseball! Daytime games are usually scheduled to begin between 12:10 and 1:15 p.m. There are a few that start at 3 p.m. and evening games typically start at 6:05 or 7:05 p.m. Games on this list that start at 3 pm. or later are marked with an asterisk (*). If you see the an indication that a team is playing "(ss)", that means they are playing with a split squad that day and are playing two different teams at different locations. In 2017 you'll notice that some games are being played with international baseball teams competing in the World Baseball Classic (WBC). Those are exhibition games only, and not part of the official competition; they are practice games for the international teams. On a relted note, keep in mind that your favorite players who are from other countries might be playing in that competition and therefore might not be appearing in the regular Spring Training games of their MLB team. These are only the Cactus League games being played in Arizona, not out-of-state. Check the team specific schedules for actual game time, ticket details, stadium info, maps and more. Please check the dates and times with the ticket seller before purchasing. All dates, locations and times are subject to change without notice.